A reflective blog post with a difference. You won't find the best of this year's outfits here because if you're a regular visitor you've already seen them. Instead I'm taking you on a trip back into the much more distant past. If the council have their way these buildings won't be here for very much longer. 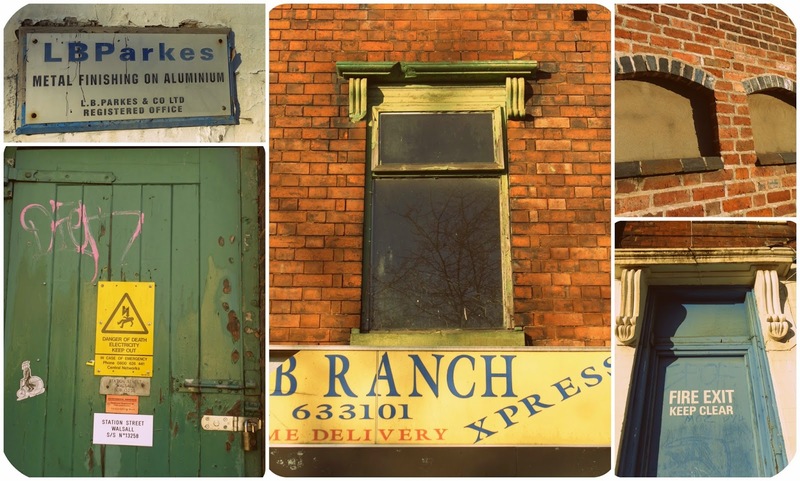 Directly opposite the train station in the heart of our town centre, much of the lower part of Station Street has been derelict for over fifteen years. See HERE. The powers that be say that the Victorian internal layouts "limit the options for future use" and have given permission for them to be demolished. Described in 1855 as "a long range of neat, uniform buildings, being mainly private houses", 160 years on there is still a hint to Station Street's former glory. These boarded-up buildings have been part of our lives for so long that we tend not to give them much consideration but don't they look beautiful in the crisp December sunshine? Over the years far too much of Walsall's architectural past has been burnt down, bull-dozed or allowed to fall into a state of decrepitude so advanced that demolition is the only option. Our once grand town buildings are gradually being replaced by ugly, grey breeze block outlets offering endless sweatshop-manufactured fashion, fast food and chain stores. Every high street in the UK is starting to look identical. New Look, Dorothy Perkins, Marks and Spencer, Poundland, Boots, Greggs, Subway, TK Maxx and McDonalds. No wonder people prefer to stay at home and buy off the internet. It's not unknown for us to return from our travels to discover another piece of Walsall history gone forever so, with no desire to visit the sales or watch any lame holiday TV, we wrapped up and took a few snaps just in case we got back from India to find the entire street flattened. Stand with a camera for long enough and it arouses everyone's curiosity. Passers-by stopped and cars slowed down, curious to see what we were so interested in. 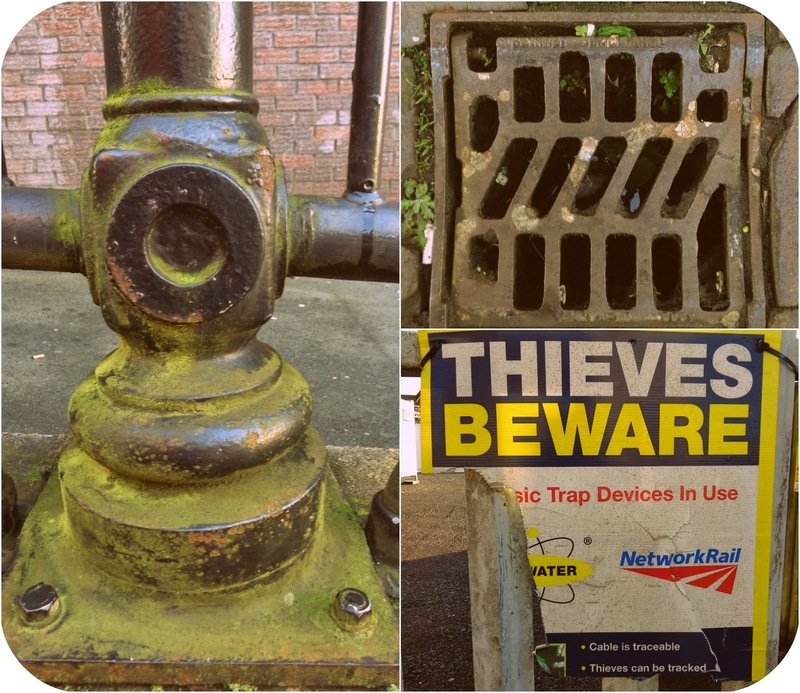 The most mundane of places take on renewed interest when seen through someone-else's eyes. My brother wouldn't agree. He worked at this metal-finishing factory when he left school in the early '80s and hated every single grubby minute. Back in my misspent youth the street was home to the Five Star, a tatty Caribbean social club we'd stumble into after the pub had closed for late-night sessions of reggae, blues and rum. The poster on the window gives notice for planning permission to change the building into an advice centre. There's evidence of work being started when you peep through the window. St James Place is part of a Grade II listed terrace which was built in 1856. It was originally used as showrooms and an office for one of Walsall's many leather companies and apparently remains a perfectly preserved example of how the street looked back in its heyday. The six panel front doors, fanlights and lintels are typical of their period. The house on the left has the original sash windows. According to a local history website the original cornicing, fireplaces, cast iron hob grates and internal doors remain intact. How blue is today's sky? There's still some thriving businesses at the top of the street. Smokey's is an American-style diner offering all-you-can-eat meat platters (not very appealing to a vegetarian like me) and Thimble & Threads is a family run dressmakers and alteration service. The Carriages are former Victorian mews houses converted into flats. Hope you enjoyed your trip! See you soon. Linking to Judith's Hat Attack and also to Patti's Visible Monday 'cos this might not be visible for much longer! As a rampant atheist I'm no fan of Xmas, but with my angel-sleeved dress, mirrored disco ball and sparkly lights (which stay up all year round) I reckon I could pass as a cut price Christmas fairy. I thought I'd finished shopping but I missed a parcel yesterday & I had to pop to the Post Office to claim it. Luckily the town wasn't as manic as I'd feared and, parcel collected, I did a final jaunt round the chazzas & managed to find Jon an extra something , which not only stays within our allocated present budget (£20 this year) but it's an item he's been after for months. I can't show you, he reads my blog! Presents wrapped in brown parcel wrap, stamped with fabric paint and a printing block (bought in India) and tied with garden raffia. Throughout the year we chuck our spare change in a tin and just before Xmas we'll weigh it in at the supermarket. With the proceeds we buy fancy cheeses,olives, booze and cat treats, replenish our herbs, spices and canned beans, stock up on household essentials and any last minute holiday toiletries. 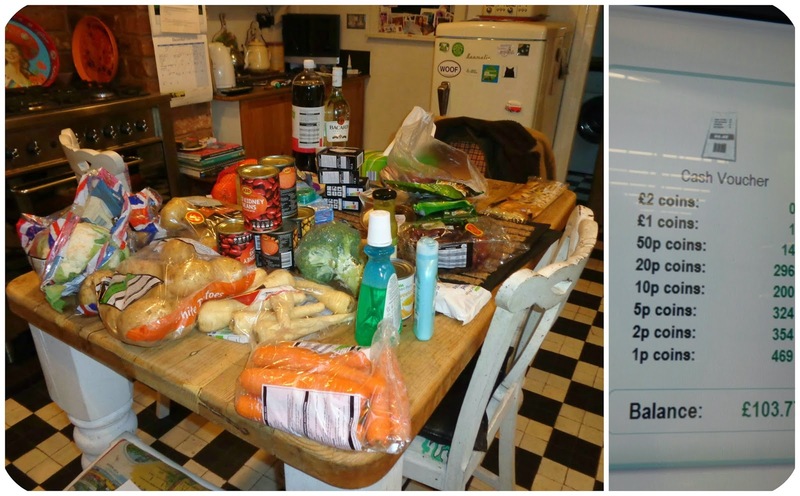 We also purchased enough fresh veg to make curries and soups (I'll blanch and freeze any I don't use) which should see us through to Goa - three weeks away and counting! I've already made my Keralan-style basic curry sauce in readiness for Xmas day. The recipe is HERE. My previous career involved providing roast dinners for over 2000 people and, over a decade later, I still can't imagine anything less appealing. This year we'll start with veg pakoras with a cucumber raita dip, so I've used my super groovy vintage Pifco gadget to make the yoghurt. We won't bother with a pudding. We don't eat any more on the 25th December than we usually do. Besides I've a string bikini to get into! 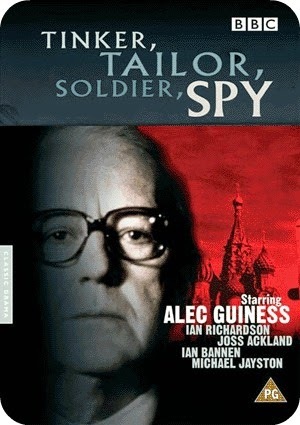 We've got a download of the original 1970s TV series of Tinker, Tailor, Solider, Spy to watch after lunch (thus avoiding any naff Xmas day telly). Once I've visited Dad's nursing home tomorrow, I'll pop a few decorations up so that our home looks a bit festive for our visitors (my brother and Jon's oldest friend, Tony) who always pop round on Xmas night for drinks, nibbles and a pop quiz. I'll cut holly and ivy from the garden to festoon the Trechikoffs and chop down a branch from one of our fir trees, decorating it with my hand-made crimplene decorations (salvaged scraps from an old project) and top it with the Vintage Vix fairy Emma-Kate sent me several years ago. So that's our Xmas, free food, free fun, second-hand pressies and a room decorated with stuff foraged from the garden. That means we can afford to treat ourselves to dinner & wine in Wetherspoons on Boxing Day. Me-made lace mini (made from a 20p vintage tablecloth), leopard print tights (darling Helga), 1960s Dolcis leather knee high boots (PDSA charity shop, 2010), Lamani coin necklace (India) - just in time to Share In Style with Sacramento & the gang! Whatever your plans have a cool Yule and see you on the other side! Stuff the turkey & balls to baubles, now we've got our tourist visas, I can't concentrate on anything but Goa. Having my Facebook feed bombarded with Xmas trees and advent calendars on December 1st was just the kick up the arse I needed. Two Air India return flights were booked & paid for before I had to endure another photo of a half-eaten mince pie. It feels wonderfully subversive to be buying factor 30 sunscreen in Bodycare whilst the rest of the queue are arguing the merits of whether Victoria Beckham's latest fragrance will do for Auntie Vera or if she'd prefer Jade Goody's at £3 less. I'd only got a handful of Xmas presents to find, which I'd soon sorted after a brisk walk into town this morning, leaving me an afternoon to sort out my travel bag. 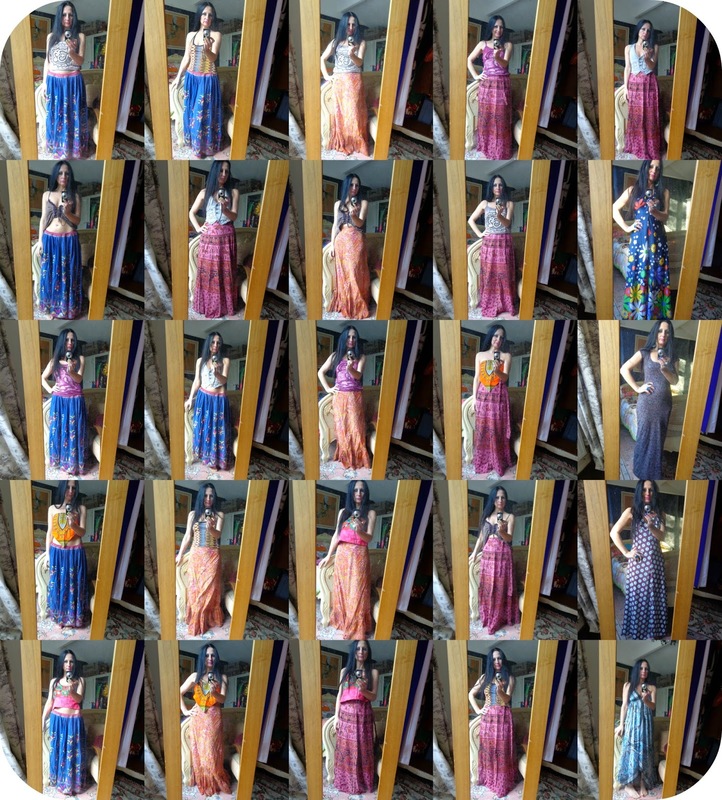 This is what a month's worth of clothes look like! My denim waistcoat (obviously! ), two tie-dyed cotton vests (bought in Goa earlier this year), a vintage crochet halter neck, a Rajasthani mirrored sun top, a batik strapless sun top (gift from dearest Tania), a lace trimmed crop top (bought from a jumble sale in Goa 4 years ago) and a vintage lace poncho which I'll wear to travel in (I can't be hanging around Delhi airport half-naked) and for modesty if I'm visiting temples. 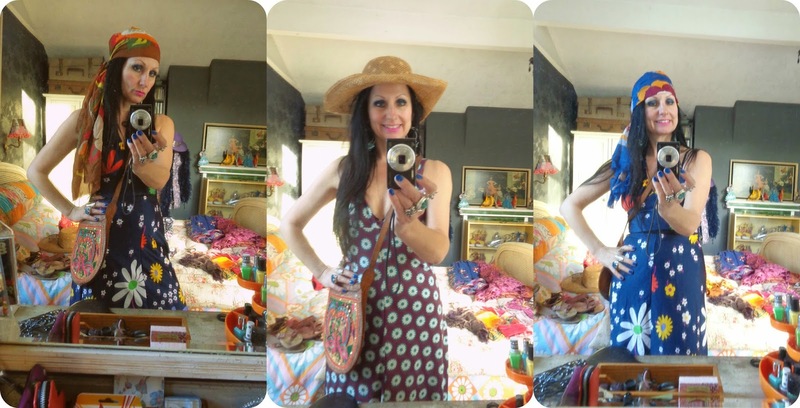 A block printed wrap-around maxi (bought in India back in January), a Dollyrockers maxi (a 99p bargain from eBay about 5 years ago) and my embellished Rabari skirt featured HERE. All have busy prints so won't show up the dust as much. They're thin and quick drying, easy to wash and won't take up much space in my backpack. 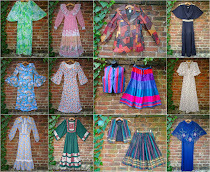 I wear skirts and tops more but dresses are easier for slinging on after a sunset swim or for our daily early morning beach walk.There's a me-made daisy print maxi, a pure silk butterfly dress (courtesy of Shabby), a vintage psychedelic number (seen HERE) and a 100% cotton paisley print dress by Miss Selfridge (via the charity shop) which I'll be travelling in. In addition there's four bikinis, two vintage psychedelic scarves, three sarongs (bought in India years ago), four pairs of flat shoes (two pairs of leather sandals, some trusty rubber flip flops (for the beach and wearing in the shower) and some hand-made suede moccasins (for travelling in or if I get blisters, inevitable after months spent in boots), two pairs of sunglasses (I always manage to scratch a pair) and a bag which can be worn across the body and is large enough to accommodate a camera, torch, room key and some cash. Much as I love my vintage straw hat it's useless in Goa, the herds of inquisitive cows on the beach means that it'd be eaten in no time. It makes far more sense to stick to a scarf and save it for Glasto 2015 instead. I'm not a fan of the capsule wardrobe but at least mine is pretty rather than practical with not a pair of beige cropped pants or a white linen shirt in sight. As with every trip I've bought nothing new and most of it has been to India at least once before. I like my clothes tried and tested. I love to feel like I'm travelling with old friends. I've mentioned before that I try everything on fresh faced, bare footed and with unwashed hair. 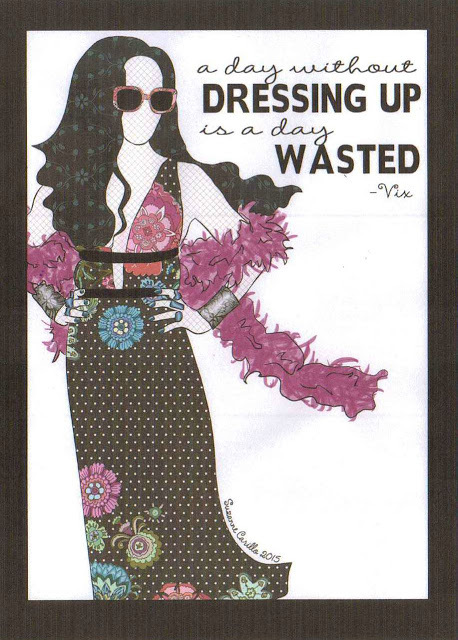 If something needs heels, make-up or a bra to look good then it's out, I don't bother with any of that fuss in India. There's still toiletries and jewellery to go in - but that's another post and I've a few weeks left before we fly - nothing like being organised! Since Jon bought me a second-hand Kobo (E-reader) for my birthday last year at least there aren't 28 paperbacks to pack. We use sarongs instead of towels which saves loads of space. There's nothing worse than having to carry a stuffed bag on a sweaty 7 hour train journey when it's standing room only. Have a fab weekend & see you soon! I never imagined I'd ever own a Tarantella, made by the high-end Walsall leather manufacturer, founded by a local woman and employing a mostly all-female workforce. 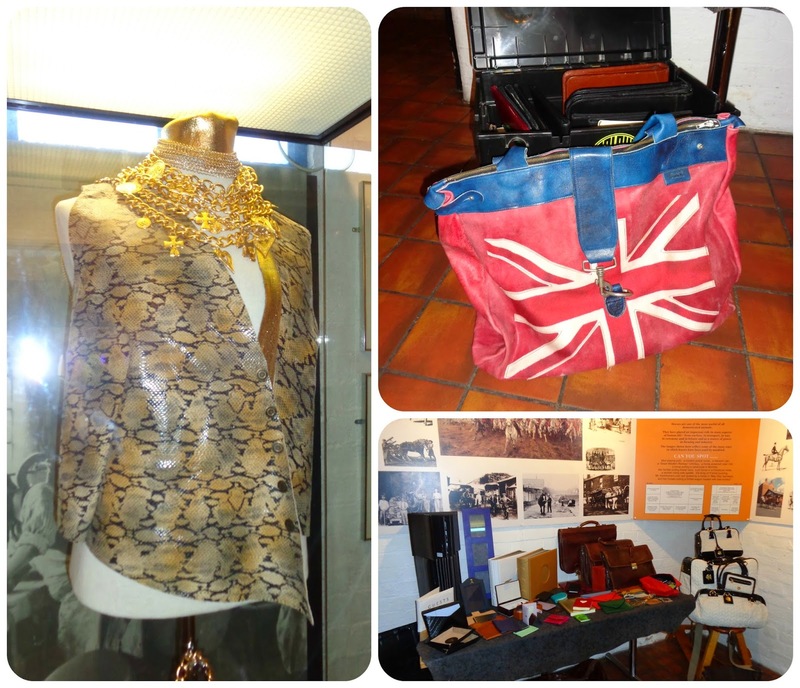 I've lusted over their pieces in the town's Leather Museum and, despite dealing in vintage clothing since the 1970s, even June from Second To None has yet to come across a piece. Luckily for me our mates, Gordon & Tina of Babouskha, recently found this unworn suede suit on their travels and, after using it on display at the Xmas Retro Fair on Saturday, I made it mine. Other than the post I wrote HERE, there's very little information available about the Tarantella factory. After their groovy leather and suede fashion they changed direction and specialised in glove manufacture. If you own a pair of vintage St Michael or Halfords leather gloves then there's a good chance they came from Walsall. Tarantella skirt suit worn with Jersey Masters nylon dagger collar blouse (clearance rail at a vintage fair), 1960s snakeskin and stainless steel choker (car boot sale), River Island stack heel boots (Salvation Army) and orange tights from Poundland. My green suit is labelled as a UK size 14 to fit a 34" bust and a 26" waist. I bought a modern Miss Selfridge maxi dress from a chazza yesterday which is a UK size 6 and fits perfectly, talk about vanity sizing. Just goes to show that you should never pay any attention to sizing labels in vintage or contemporary clothes, they're all crazy. Those vintage Trueform boots last worn HERE would have looked good with this outfit but I sold them on Sunday! Working at the Leather Museum on Saturday obviously had an influence on me. 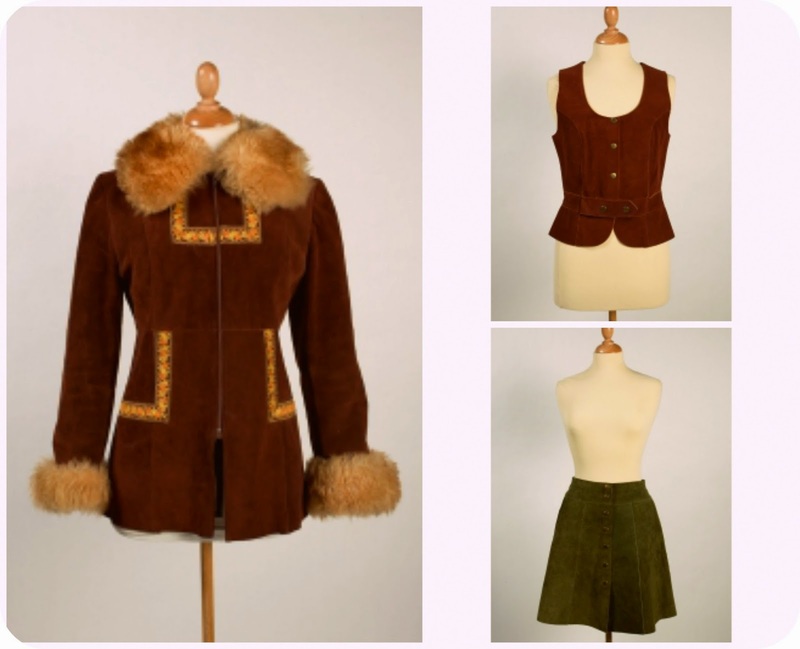 Here's my other purchase, a fab 1960s Suede & Leathercraft suede mini. Alone it's going to be great for festivals with one of my vintage chokers and some beaten up tan boots. Bit nippy for bare legs today though, so I stuck a vintage ribbed polo neck (the only jumper I own) underneath along with two pairs of 1970s yellow tights Lyndsey found for me at a car boot sale. Right, better get my arse in gear. There's a mountain of clobber from a mega two days of charity shopping to wash and put away and my roots desperately need touching up before it gets too dark to see the grey bits. 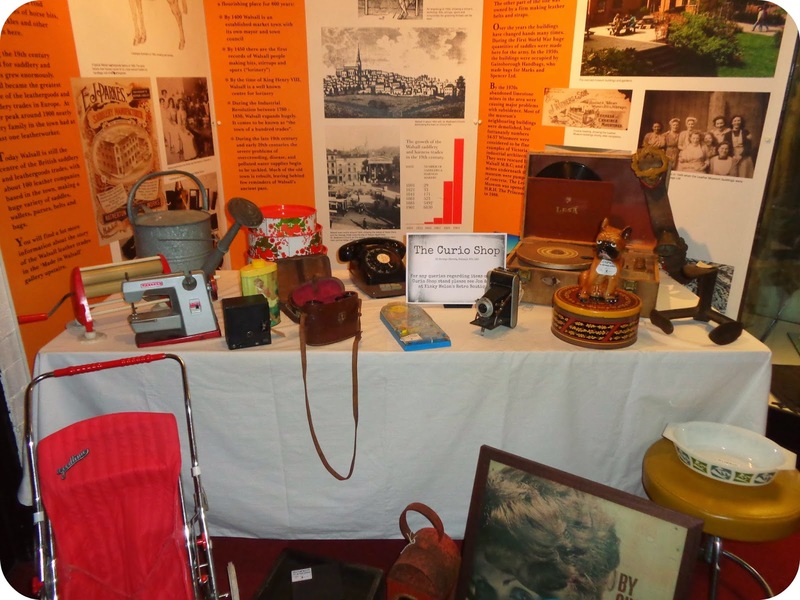 When we were given the opportunity to help Black Country Echoes and the Leather Museum organise a retro-inspired Xmas fair a few weeks ago I jumped at the chance. Back in the 1990s Walsall was described as hip, cool and happening by The Guardian and I'm determined that our town regains that reputation if it kills me. Despite Trip Advisor rating the Leather Museum as Walsall's number one tourist attraction, it never ceases to amaze me that so many of our townsfolk have never visited. 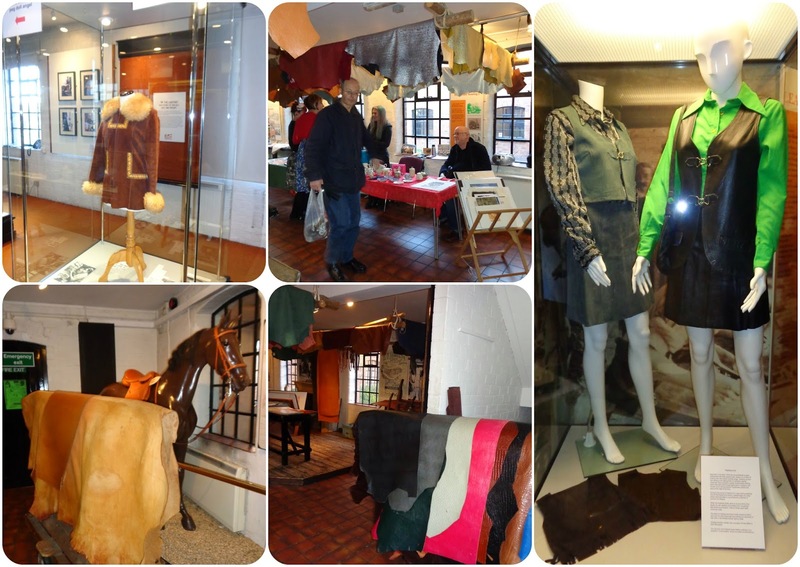 I'm passionate about our industrial heritage and, with the added attraction of the Fox Collection, an archive of locally made leather and suede fashion hidden away for over forty years, it was the perfect opportunity to both raise the museum's profile and celebrate Black Country ingenuity. We decided to focus on local indie businesses, makers and creators, hoping to not only raise the town's profile but to offer people an alternative to the mass produced goods available on our high street. Hetty's Heavenly Treats is a local tea room and outdoor caterer. 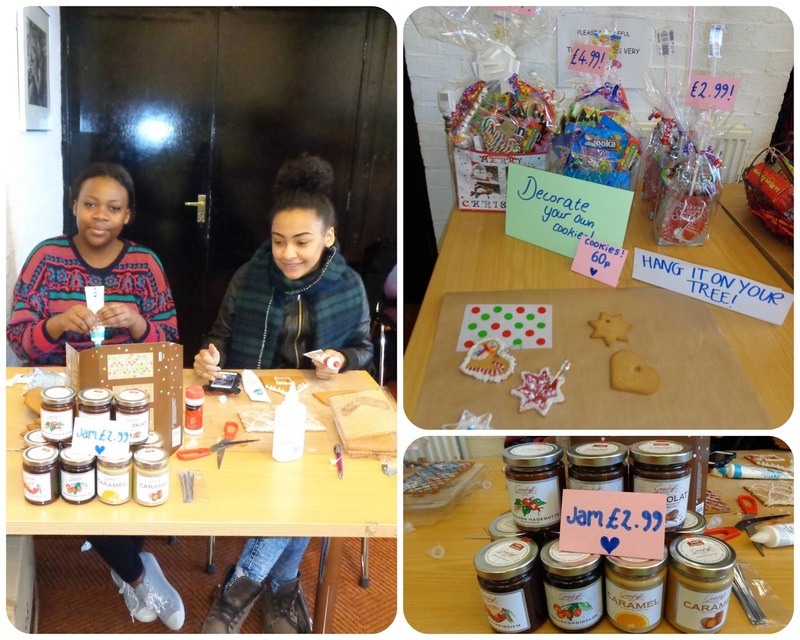 The girls ran a gingerbread icing workshop and offered some pre-packed treats. 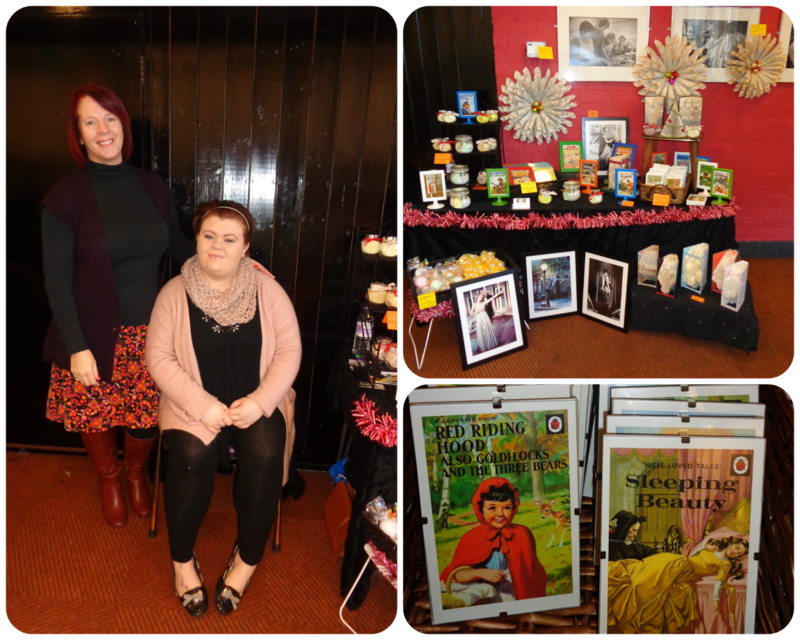 Sharon & Jodie of Vintage Duos run very successful vintage & craft fairs around the Black Country. They helped to save the day by coming to our rescue after a local creative cooperative cancelled with days to go. 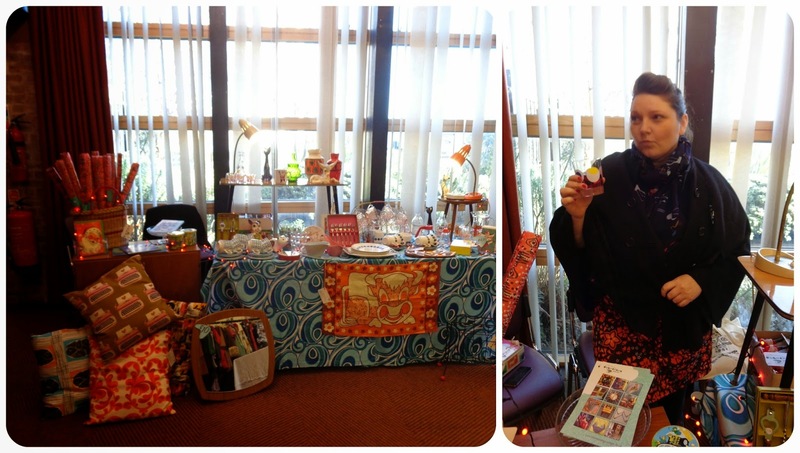 Their paper craft, framed retro prints and vegan bath products proved very popular. 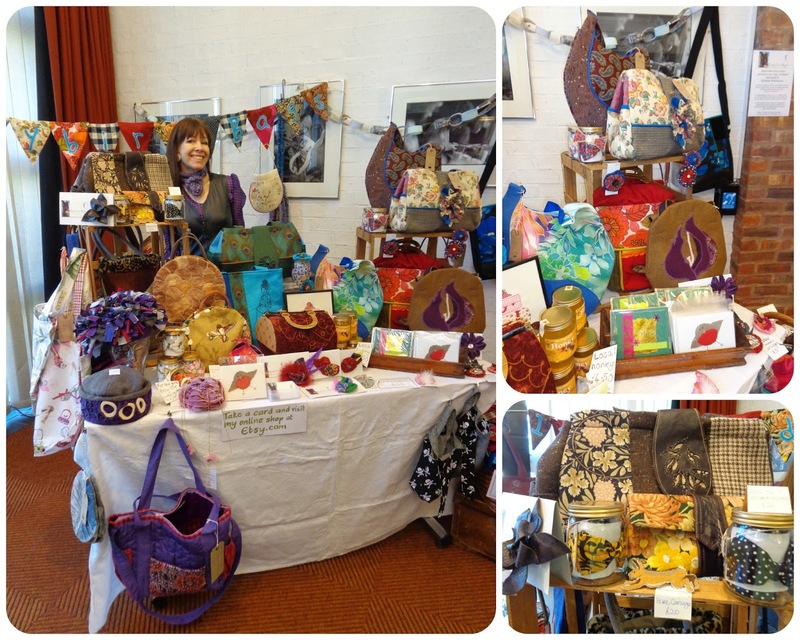 Liz of Izzybird Bags brought a range of her amazing creations, bags, cards, accessories and even honey from her hives. 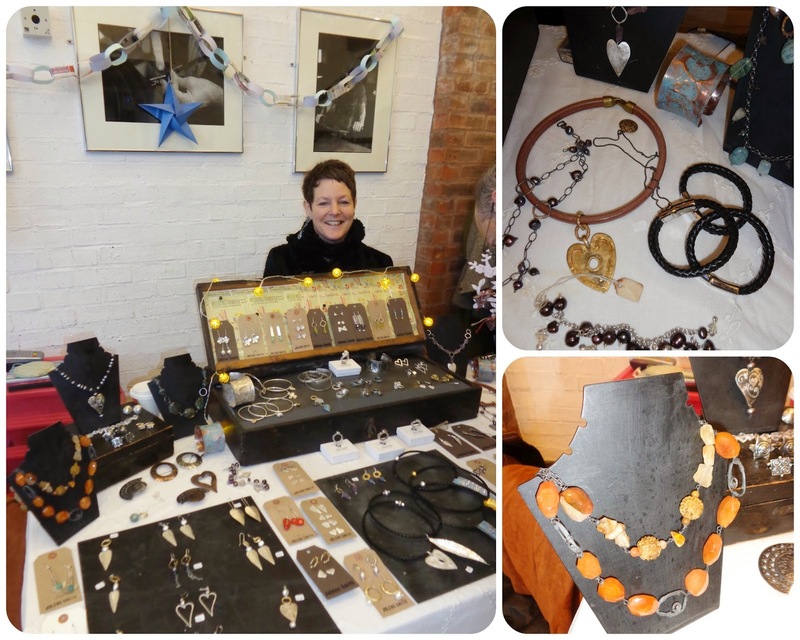 Jolene's stunning designer jewellery is instantly recognisable and on most Walsall women's wish lists. 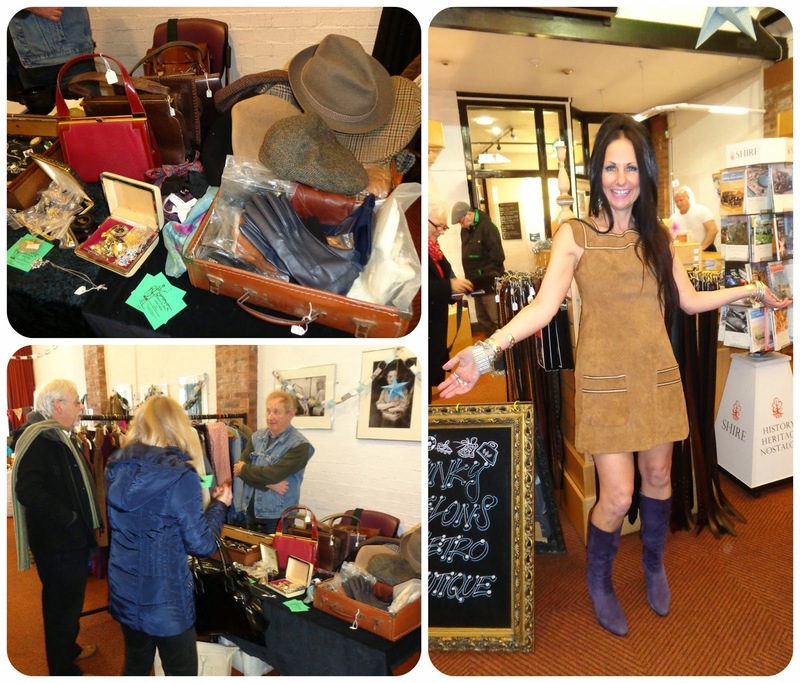 Second to None (represented by June's lovely husband, Dave) had a rail of groovy leather and suede clothing. I snaffled this 1960s mini dress. 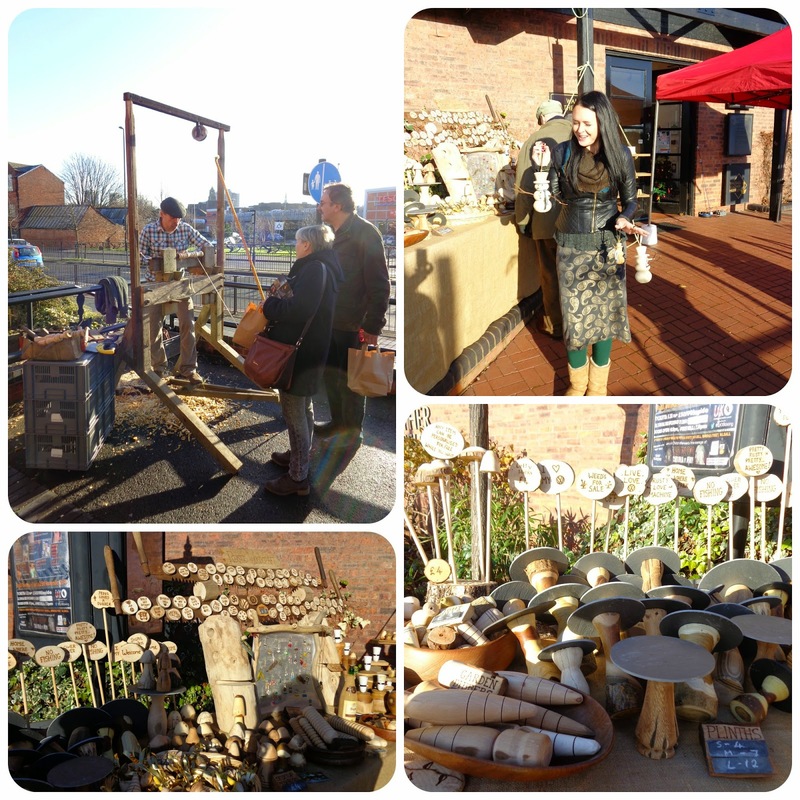 Mark from Rustic Woodcraft drew in the passers by with his ace creations, ably assisted by Katie, his gorgeous partner. 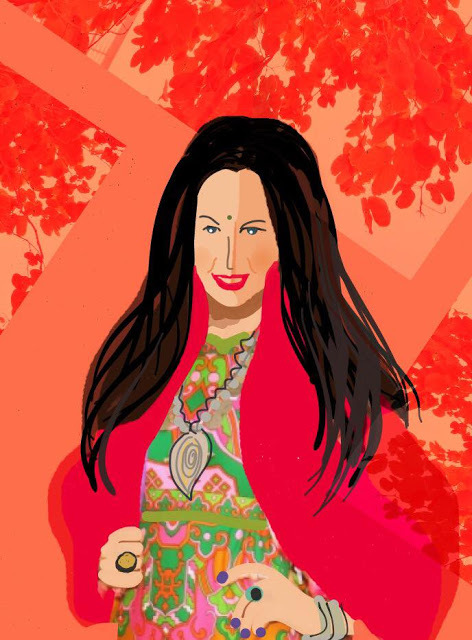 Artist Jain McCay's work is incredible and happily lots of customers agreed. She was another of our eleventh-hour saviours and we were delighted that she got such a great reception. Gordon from the wonderful world of Babouskha was born in Walsall (even though he lives in Stourbridge now). A man saw him modelling this Bavarian jacket and bought it immediately. The green suede suit went home with me! Duccio are one of Walsall's leading leather goods manufacturers. Kanye West is a fan. 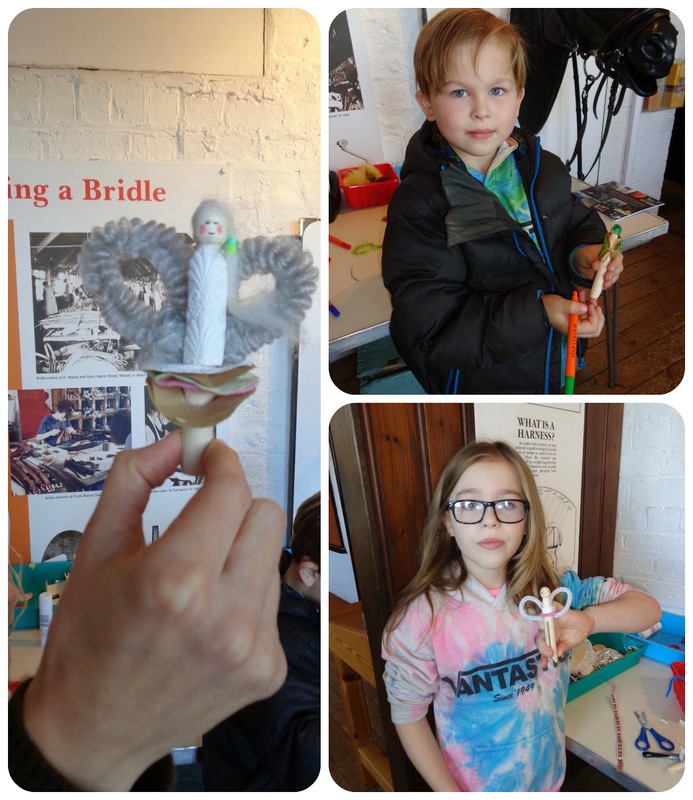 The museum organised a peg doll workshop for the kids. The little boy told me his was going to be a Ninja Turtle, his sister favoured a more traditional fairy. The Curio Shop has been trading in Walsall for over 45 years. They brought along a selection of their eclectic stock. Black Country Echoes offered a strategically positioned free bar, set amongst the exhibits. What could be better than sipping cranberry vodka whilst drooling over Walsall-made designer handbags? Meet Jo, a long-time blog reader who'd made the journey over from Burton on Trent to say hello. A gorgeous, glamorous, charity shopping, Wetherspoons fan. She's definitely coming on our next girls' day out. I'm wearing a vintage chiffon, diamante and pearl encrusted Texas-made evening dress (birthday pressie from Babouskha). Jon's in vintage/second-hand from head to toe. We had a wonderful day, lots of visitors and loads of positive comments. We were thrilled that so many of our friends turned out to support everyone. 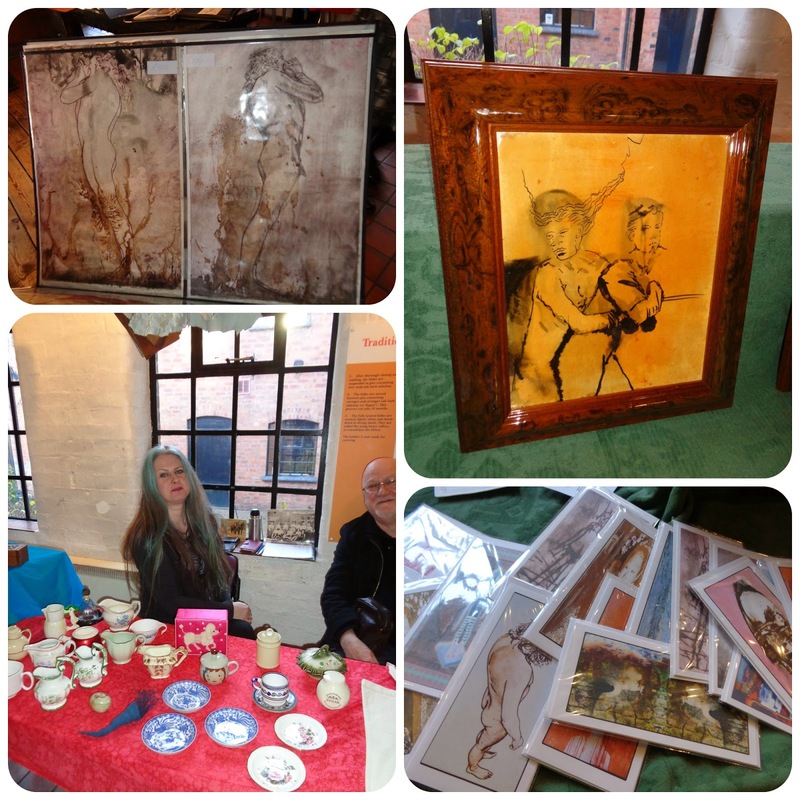 Here's to more Walsall events in 2015! ......Of course one fair in a weekend just wasn't enough, we worked at Moseley's groovy vintage and retro fair yesterday, too. 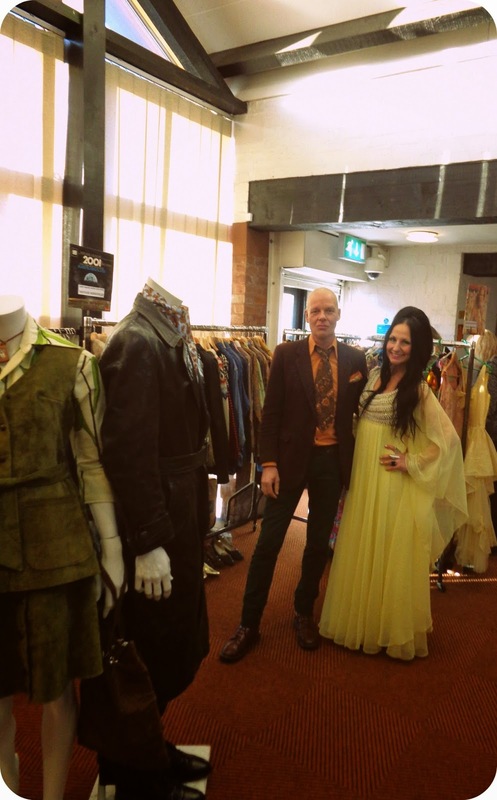 I'm wearing a Polly Peck maxi from Garbo Antiques £5 rail at Vintage Village, Jon's robbed the stockroom. That's gorgeous Gail in the Santa outfit and the divine Cameron in the regimental jacket. 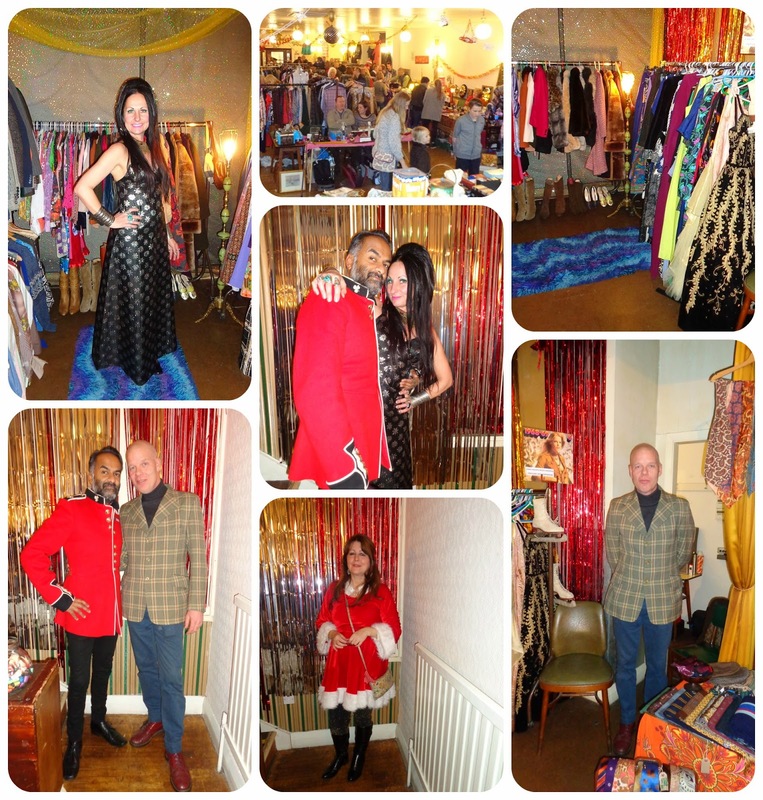 So that's it for 2014, 32 vintage fairs and 7 festivals. Thanks to the organisers, fellow traders and all of you who turned up, bought from and supported us. 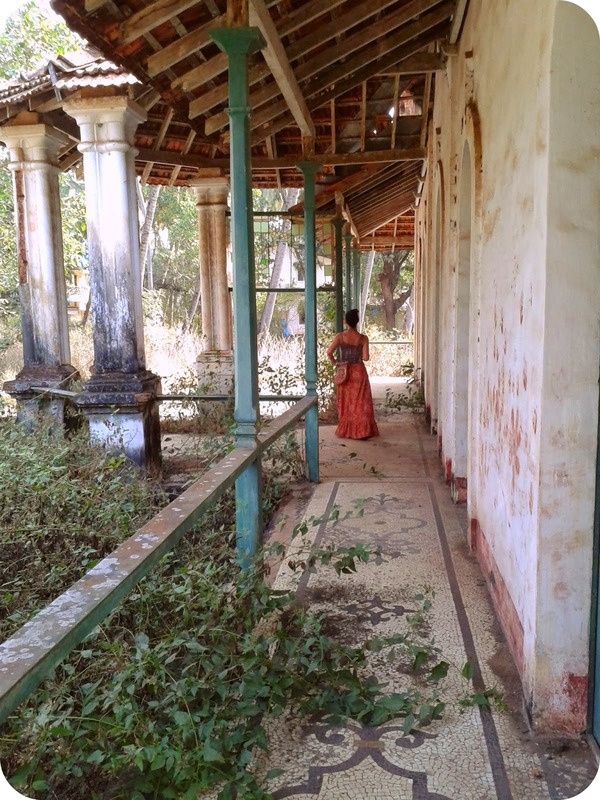 India is only weeks away now! We're off to get bladdered celebrate in Wetherspoons. See you soon.